In a lineup that features a pair of sluggers battling it out for the minor leagues' home run title, mild mannered and average framed outfielder Andrew Pullin somehow stands outs. The Double-A Reading Fightin Phils include the leading home run hitter in the developmental ranks in first baseman Rhys Hoskins, who has mashed 30 round trippers, as well as impact outfielder Dylan Cozens, who is chasing his teammate with 26 dingers of his own. The Fightins also have veteran professional hitter Jake Fox, whose 19 homers are tied for third best in the EL as well as highly touted backstop Jorge Alfaro. Additionally, top prospect J.P. Crawford and promising speedster Roman Quinn have been in this team's lineup this season. For the generously listed six-foot, 190-pound Pullin to garner attention, among that collection of bats, it's remarkable. 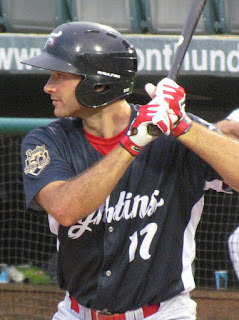 Pullin, who was a 5th round draft selection by the Phils in 2012, has impressed many with his ability to drive the ball with considerable gap power and his consistent production. Through 21 games since his promotion from Class A Advanced Clearwater, the Washington state native sports a .365 average with three doubles, five home runs and 19 RBI. 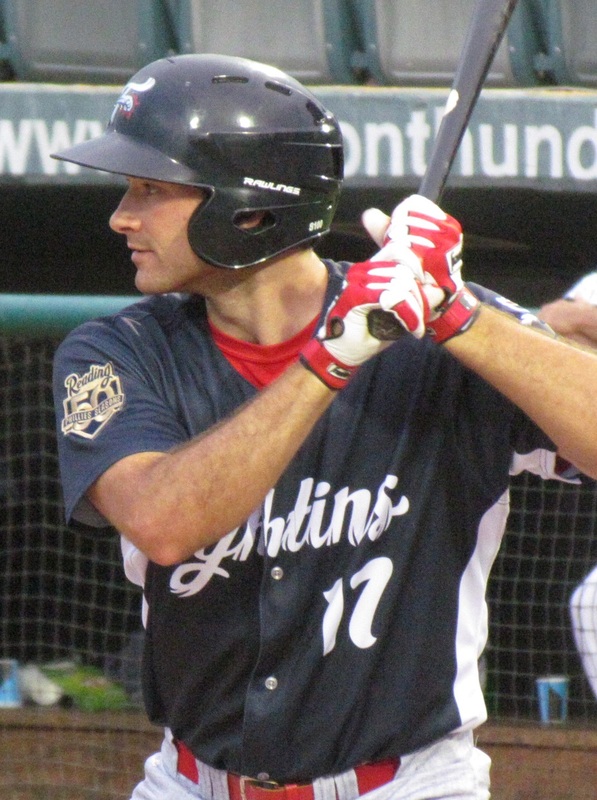 "He’s a tremendous hitter," said Reading manager Dusty Wathan during a recent interview. "If you’re able to hit a fastball, you’re gonna be able to hit at a lot of levels and Andrew can definitely hit a fastball. He stepped right in. We put him in a pretty good spot to hit in front of some pretty good hitters, to give him an opportunity to get some fastballs and he’s taken full advantage of the opportunity." The players he's been hitting in front of are the aforementioned Alfaro, Hoskins, Cozens and Fox, who have been the core of the lineup that has notched 38 more home runs and plated 120 more runs than any other team in the Eastern League heading into action on Friday. According to Pullin, the comfort level of hitting in front of that group of mashers has helped him settle in. "There's no pressure because if you don't (get something done), the next guy will. That's definitely something I've noticed," Pullin stated. "You know, everybody can do something at any time and we can score a lot of runs really fast and it's a lot of fun." Prior to joining Reading, the 22-year-old lefty batter sported a .293 average with four homers and 19 RBI in 36 games with the Class A Advanced Clearwater. Pullin's 2016 campaign got off to a late start for the Threshers when, after participating in the Phillies' Futures Series exhibitions in April, Pullin took a leave of absence to address some personal matters. According to Pullin, the Phillies were accommodating in allowing him the flexibility to take time off, listing him as retired for a stretch, and to later return once matters were taken care of. "The Phillies were great," Pullin expressed with appreciation. "They were very helpful on everything and I'm very happy to be a part of this organization." Reading entered the weekend with a team OPS that was 50 points higher than the next best offense in the league. With a collection of top bats and the minor league postseason just about six weeks away, Pullin and the rest of the Fightins are primed to chase the club's first championship series victory since 1995. "Everybody on this team is real special and has a lot of talent," Pullin stated. "It's fun to be a part of, like I said. It's a fun team and we play really well together."